The RUBY is our smallest on-the-go video magnifier yet, with a 4.3-inch screen to magnify items from 2 to 14 times the original size. View items and read text with ease, even in dark rooms with the built-in LED lighting. 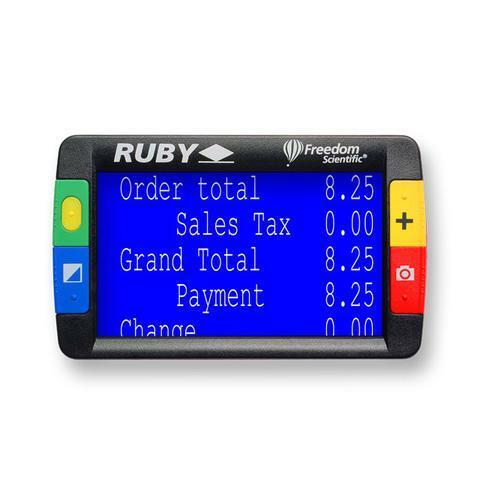 RUBY’s slim design supports a wide range of reading needs to help you maintain your independence. The RUBY is available in two models: RUBY and RUBY+*. RUBY is offered in traditional red with color buttons. RUBY+ is offered in gray with high-contrast, black and white buttons.